An analysis of investment cycles must begin with the underlying economic system that gives rise to them. In China, the system is essentially socialist. The main players are state-owned enterprises and local governments; the rules of the game are primarily a consequence of public ownership. 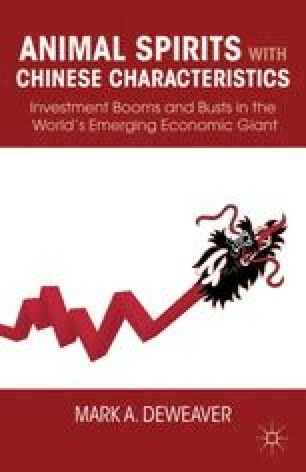 This chapter focuses on these “Chinese characteristics,” describing the nature and extent of the state’s role in investment. The basis of the socialist economic system of the People’s Republic of China is socialist public ownership of the means of production.